Kia vehicles have quickly become the coolest cars and SUVs on the road. With the recent introduction of the performance packed Kia Stinger along with their super-efficient Kia Niro and sophisticatedly styled Kia Optima, Kia vehicles are not-so-quietly taking over all segments. 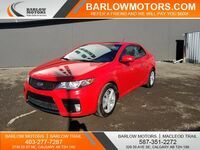 If you have been searching for a used Kia vehicle in the Calgary, AB area then look no further because Barlow Motors has what you are looking for. Don’t hesitate any longer to get into the used Kia vehicle that you have been wishing for and stop into Barlow Motors to get into the driver’s seat of your used Kia today. Where Can I Find a Used Kia Near Me? Barlow Motors in Calgary, AB is your destination to find the used Kia vehicle that you need. Even if for some reason Barlow Motors doesn’t have the specific used Kia you want we’ll find it for you and let you know when it arrives. Climbing into the cockpit of a used Kia vehicle from Barlow Motors involves a simplified and streamlined process which begins by showing you our inventory in real-time on our website. That means that if you can see the vehicle on our website then it will be waiting for you on the lot when you arrive. Not only can our website help you select the right used vehicle but it can also give you an accurate assessment of your trade-in vehicle and even allow you to apply for online credit approval. Kia vehicles have always been known for being efficient, reliable, and affordable which is a wonderful foundation for a car company. As the years progressed and Kia vehicles grew in popularity Kia reinvested into their products and expanded upon Kia’s electric vehicle capabilities as well as adding additional interior amenities. All Kia’s posses a sporty, fun, and athletic exterior design that attracts all consumers and helps Kia vehicles stand out in a crowd. If you have waited too long to meet your Kia vehicle match then bring your old beater down to Barlow Motors and we’ll have you driving home in a used Kia in no time. Interested in a Kia vehicle?